We are now in Pondicherry, a coastal town on the Southeast coast of India between Tamil Nadu and Kerala. This is an old French colonial outpost, and those who are interested in yoga philosophy will also know it as the home of the Sri Aurobindo ashram. The ashram main building. We are staying just around the corner from it. There is no photography allowed in the ashram buildings. Sri Aurobindo (1872 - 1950) was a a Bengali born anglophone Indian who was a giant as a spiritual intellectual and philosopher. Educated in Cambridge, he returned to India with the intention of embarking on a career in the public service. However, he became involved in the Indian Nationalist movement and ended up being incarcerated for his political activities. While in prison, he had a spiritual awakening and dedicated the rest of his life to spiritual work. He settled in Pondicherry, and together with his spiritual partner Mother of Pondicherry (born Mira Alfassa of French-Egyptian parents in 1878) founded Integral Yoga. Since Sri Aurobindo's death in 1950 the Mother continued their work until her death in 1973. Currently both the ashram, and the nearby intentional community called Auroville (where we will stay for at least a month) are happily being run by about 2,000 followers each. I have already visited the ashram twice, including the Samadhi where both Sri Aurobindo and the Mother are buried. I was also able to pay my respects in the non-public meditation areas, after which we got a private tour of the Ashram school. 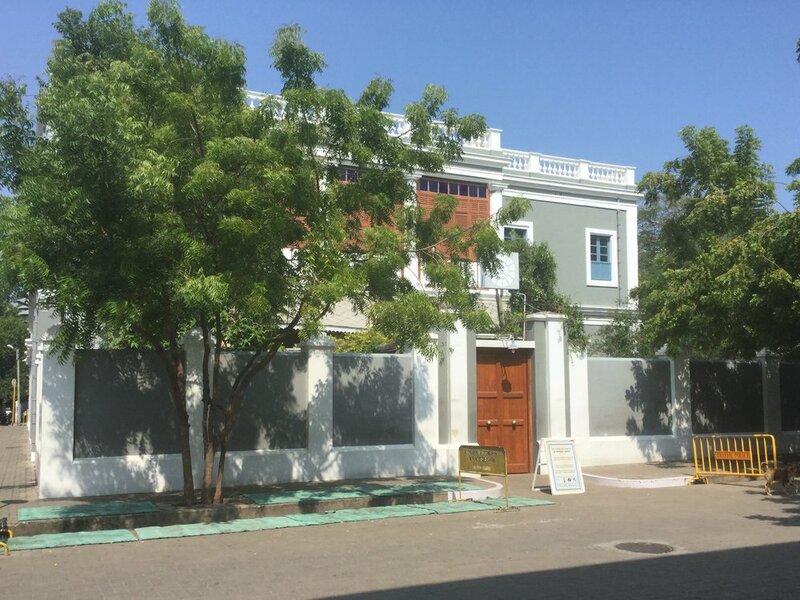 On Monday I get to visit Sri Aurobindos room - a rare and exceptional opportunity. It is hard for me to try to describe Sri Aurobindo's genius here - he really was a monumentally brilliant man. (Lili's middle name Savitri was selected as an hommage to his magnum opus with the same name.) I hope to inspire everyone to study some Sri Aurobindo, however little. Sri Aurobindo was nominated for the Nobel Prize in Literature in 1943 and for the Nobel Peace Price in 1950. The Mother and Sri Aurobindo at the ashram.